Want to take the guess work out of your marketing? Try our ‘Science behind content marketing’ eBook! This digital revolution has shifted the balance of power between businesses and consumers. Customer expectations have changed and they’re now setting the agenda in terms of how they interact with brands, research their options and make purchasing decisions. Successful content creation requires a thorough understanding of your target audience, so that you can create and deliver unique, highly-relevant content that meets their needs, and engages them at just the right time and in just the right way. A content marketing campaign is not one size fits all, but is unique in style and content to suit your audiences, industry and objectives. 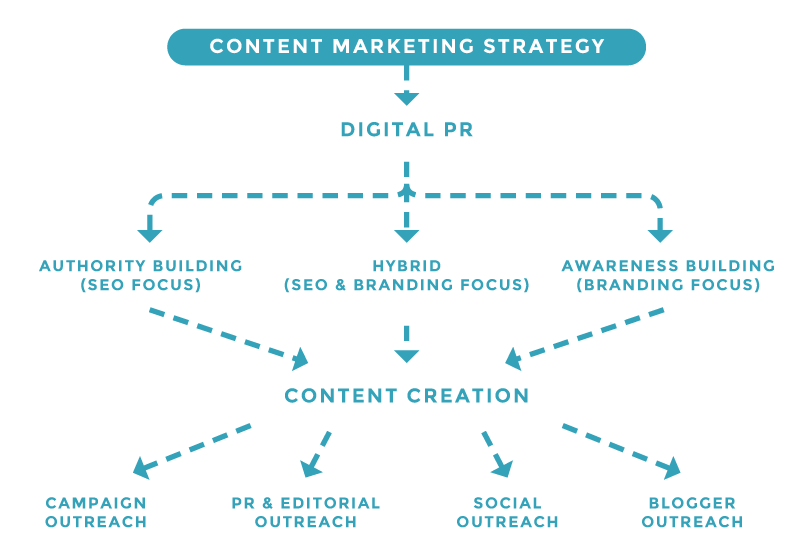 A well planned content strategy can have multiple benefits for brand awareness, positioning, SEO and ROI. A strong campaign can provide an insight into your target audience’s views and opinions, making your next campaign idea easier to implement. Content marketing is not just for established companies, it is also useful for identifying and building target audiences. Using a hybrid strategy of SEO, brand awareness and social outreach can provide an insight into audience’s wants, needs and current interests. How does content marketing affect SEO? As Google aims to return the most relevant and useful results to answer users’ queries, the brands that rank highly in search results are those which provide a great customer experience by regularly publishing unique, customer-focused content. When your assets are shared, this helps to spread your message and increase brand awareness. The higher the relevance and quality of those shares, the greater the chance your content gets seen by the right audience, and attracts the right kind of traffic. Last, but not least, content also has an important role to play in helping to create genuine, organic inbound links from influential and trustworthy sources: another important factor Google takes into account when ranking your site. Why choose us as your content marketing agency? At Click Consult, content creation is something of a speciality. Our strategies are bespoke, designed to build and strengthen trust with current and potential customers, raise awareness of your brand and establish you as an expert in your field, setting the groundwork for long-term business relationships. With so many businesses and individuals creating and publishing content online, we can help you to differentiate your brand with a bespoke content marketing strategy that truly resonates with your customer base and helps to enhance your search engine visibility.